When local residents see something in the sky that they can’t explain, they call the Mutual UFO Network. The nationwide organization receives dozens of similar reports every year of unusual lights in the night sky. The group is dedicated to tracking sightings of unidentified flying objects and investigating the causes, whether those are from nearby aircraft or something potentially extraterrestrial. 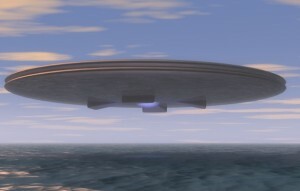 The Mutual UFO Network has collected more than 30,000 reports of unidentified flying objects since it was founded in 1969. Almost all are strange lights that have shown up in the sky, although plane crashes, weather balloons and completely unexplainable occurrences have been recorded, as well. Since 2006, Johnson County has been named in 20 such reports. Bright lights, orange fireballs and bouncing orbs are common. On one occasion, a person in Greenwood reported a thin, blue line of light traveling quickly just above the horizon. Another person said he saw a strobe-like light along a stretch of State Road 135, near Bargersville. Scientifically based, the Mutual UFO Network tries to piece together evidence of what sightings are. They collect witness statements, photographs video and examine the ground around where the sighting took place. Jill Beitz is the chief investigator for the state of Indiana. Active in paranormal groups throughout Indiana, she had her own UFO sighting and became involved with the network soon after. “You see something, and you don’t know what it is. I couldn’t explain what I saw, and I wanted to,” she said. As chief investigator, Beitz reviews the reports that are submitted to the Mutual UFO Network. Often, she’ll travel to the site and interview the witnesses. Through questioning, as well as any kinds of photos that the people involved might have taken, she can weed out any hoaxes or fakes that are being reported. The network’s roots stretch back to a loose collection of investigators in the 1950s and 1960s. Reports of weird lights and unusual aircraft were regular topics of discussion for local people. 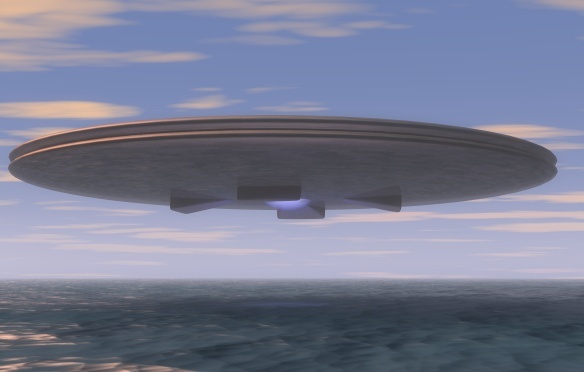 The existence of UFOs were widely believed by the general public. The federal government conducted a study with the University of Colorado about unidentified flying objects and concluded that further study of the phenomena was no longer needed. But people were still seeing strange things in the sky. Walt Andrus, a longtime tracker of aerial phenomena, organized a network of investigators throughout the Midwest to track reports of UFOs. That group eventually spread throughout the country and the world. “It sort of exploded when the Internet came about. It’s really all about the spread of information,” Hill said. The organization now has more than 800 trained field investigators and rapid-response teams that can mobilize to investigate potential evidence of an extraterrestrial aircraft. “We have a network set up to track these things across the country. If someone sees something in Utah, we can go state-by-state as it moves to follow it,” MacDonald said. MacDonald read his first UFO book when he was 10 and has been hooked ever since. He would seek out any information he could get on extraterrestrial life. “I always had this nagging pull of ‘What is that? '” he said. The owner of an air carrier business in Cincinnati, MacDonald helps coordinate the network’s international activities. Anyone can submit a UFO report to the network. The group’s Web page has a simple form allowing people to put in where the sighting was located, attach any photos that they’ve snapped and describe what they’ve seen. “The hoaxes are usually pretty easy to spot right off. But it’s not to say that any kind of anonymous report is a hoax. Often, these people can be very afraid of what they’ve seen and are hesitant to come forward,” Beitz said. Significant sightings are singled out for investigation, MacDonald said. The network trains people to be investigators to look into specific cases. Before the volunteers ever go out into the field, they are provided with the tools to scientifically look into potential UFO sightings. They are taught how to interview witnesses of an event and to read witness body language to determine the validity. They learn how to draw conclusions from the evidence presented to them by witnesses, news reports and the physical location of the event. A knowledge of weather patterns, astronomy, the lighting configurations of aircraft and space satellites also helps determine what a sighting might be. Most often, the reports can be explained naturally. Refracted light in the sky, electric flashes high in the atmosphere or meteors easily can be mistaken for UFOs. But organizers want to be thorough in their investigation, in case evidence of a true extraterrestrial experience presents itself. “If it’s anything more than light in the sky, we want to be ready,” MacDonald said.